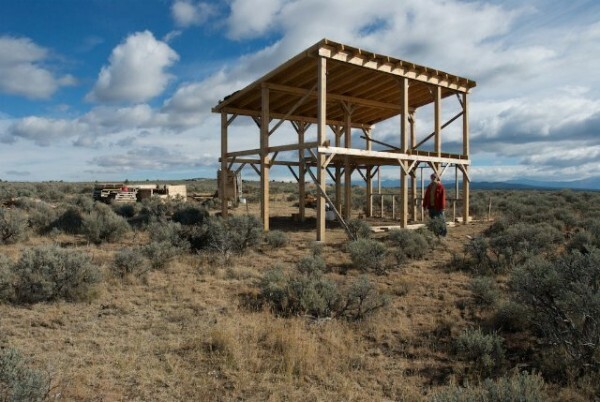 PLAND, PracticeÂ LiberatingÂ Art throughÂ NecessaryÂ Dislocation, is an off-the-grid residency program that supports the development of experimental and research-based projects in the context of the Taos mesa. PLAND finds its inspiration in a legacy of pioneers, entrepreneurs, homesteaders, artists, and other counterculturalists who â€“ through both radical and mundane activities â€“ reclaim and reframe a land-based notion of the American Dream. While producing open-ended experimental projects that facilitate collaboration and hyper-local engagement, PLAND is a constantly evolving artists outpost in the New Mexican high desert. Through project-based residencies and work parties, residents are encouraged to marry survival-based goals with big ideas and experimental methods. Without expectations about prescribed outcomes, PLAND privileges process over product. People can do amazing things when supported and encouraged in new contexts and there is no context like that of the Taos mesa. Part alternative school, part laboratory, part homestead, part art studio, PLAND is an active solution for merging art into life. ALSO: MIKE B. mysteriously returns.